There is no secret that I’m addicted to using face masks. I love the difference these skincare products make to my skin and enjoy the ritual of applying face masks. Most of the weeks, I use masks at least two or three times a week, picking different variations for each application — from hydrating and brightening to deep cleansing and clarifying face masks. In this post, I’ll be sharing the list of my top 10 favorite masks for all time. I save this mask for the moments when I have just a few minutes to get ready, but I really want my skin to glow. As it’s mentioned in the name of the product, it’s a self-heating mask, which means that it literally feels warm while applying — to ensure a deep cleansing and purifying of pores. I would recommend this mask to anyone with oily or combination skin. This mask smells like roses and actually contains blended rose petals in its formula. I use this mask in the shower before applying makeup as it instantly hydrates and tones my skin and makes it feels so much smoother. I use this luxurious mask every night before important events as I know that I’ll wake up the next morning with the softest and most hydrated skin ever. Also, such base created with this mask is a perfect canvas for applying makeup! This mask is my heavy-duty solution for the times when I have major breakouts. The product features purifying ingredients such charcoal and deeply treats acne-prone skin. This mask is my recent discovery, but I already love it so much! Not only it’s perfect for travel (as it features both a clarifying and a hydrating mask), but the masks themselves are super effective and pleasant to use. Let me warn you: this mask tingles a bit, but it’s so worth it as it deeply cleanses and purifies your skin to the point that you don’t really need a facial if you use it regularly. That’s my absolute favorite mask for when my skin feels dry. It smells like a dessert, feels so luxurious and soft, and transforms skin into the softest and most hydrated ever. These are my go-to eye masks before any early morning events! If you are struggling with puffy eyes in the morning (I do! ), it’s such a life-saving product. Apply the patches before blow-drying your hair and you’ll look so much more awake 5 minutes later! It was one of the masks that helped me to get rid of breakouts when nothing else seemed to help. The secret ingredient of the mask is probiotics that help to reduce inflammation and reveal healthy-looking skin. This mask is perfect for winter time when your skin is super dry and needs some special hydrating treatment. Leave this product on for about 20 minutes and you will not recognize your skin as it will become much softer and smoother after just one application. 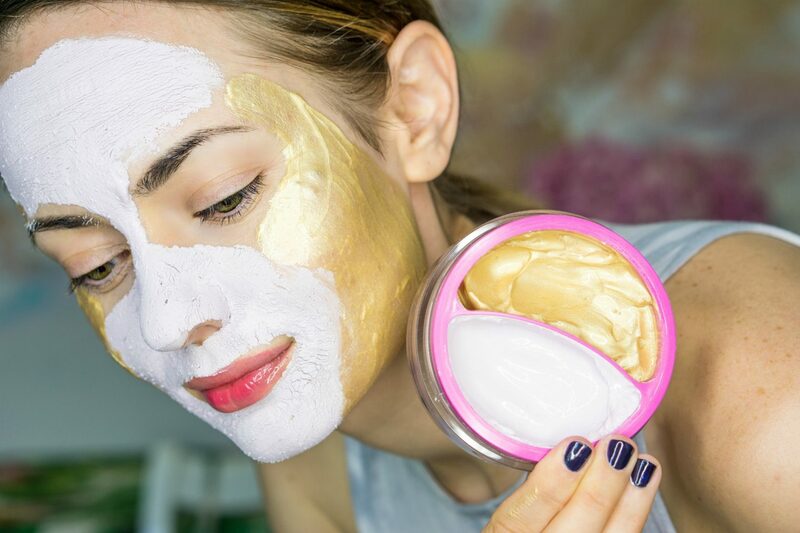 Writing this post I realized that these products are just a quick selection of my favorite face masks. Please let me know in the comments area below if you’d like me to put together a similar list but with my favorite sheet masks? Also, leave a comment if you tried (or want to try) any of the above-mentioned masks.